Before Theresa May decided to go to the country, the election result many observers of UK politics were most looking forward to was the outcome of ‘super-union’ Unite’s bitter leadership contest between the incumbent, Len McCluskey, and his challenger, Gerard Coyne – a contest which, rightly or wrongly, had been viewed through the prism of its potential impact on the Labour Party. 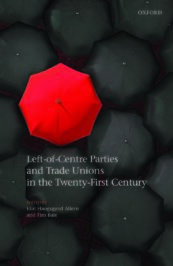 Drawing on a newly published cross-national study of the relationship between left of centre parties and trade unions, it is possible to cast a little comparative light on what Lewis Minkin famously termed ‘the contentious alliance’. Here are nine things worth knowing about the links between centre-left parties like Labour and trade unions. The British Labour Party has always been intimately bound up with trade unions: after all, as Ernie Bevin famously put it, the party ‘grew out of the bowels of the Trade Union Congress’ back at the beginning of the twentieth century. But it’s important to realise that it’s by no means unique. There are centre-left parties all over the world whose traditional ties to their respective labour movements remain pretty strong – in Australia, in the Nordic countries, in Austria and in Switzerland, for instance. What’s unusual about Labour, notwithstanding Bevin’s remark, is that the party’s relationship with the Labour movement is, formally anyway, only with individual unions rather than with an overarching congress which encompasses many constituent unions. Bevin, together with Alan Johnson, is unusual in having made the transition from powerful union leader to big-beast Labour politician. Others have tried it – most notably Frank Cousins of Unite’s forerunner, the TGWU, back in the sixties – but failed miserably, since when British union leaders have generally preferred to stick to exercising influence in the party indirectly, using their money, their guaranteed places on various party bodies, and votes on policy and candidates to push Labour in their direction. That’s generally been the case, too, in other countries. True, Bob Hawke, who was Labour prime minister of Australia between 1983 and 1991, had also been president of the country’s Council of Trade Unions. But he was another exception proving the rule. Even in Sweden, where the relationship between the social democratic SAP and the main union congress, the LO, has traditionally been strong, the current prime minister, Stefan Löfven, is very unusual in having led a trade union before taking charge of the Social Democrats back in 2012. Like Löfven, Labour leader Jeremy Corbyn dropped out of university, even if, unlike Löfven, he grew up in a middle class (indeed, some would say upper-middle class) family so can hardly claim to be a horny-handed son of toil. He can claim, however, to have a pukka union background, working as an organiser for forerunners of UNISON and Amicus in the seventies before becoming an MP. In that sense (if not in many others) he’s not alone, although there has almost certainly been a decline in the number of people in the Parliamentary Labour Party with a union background. 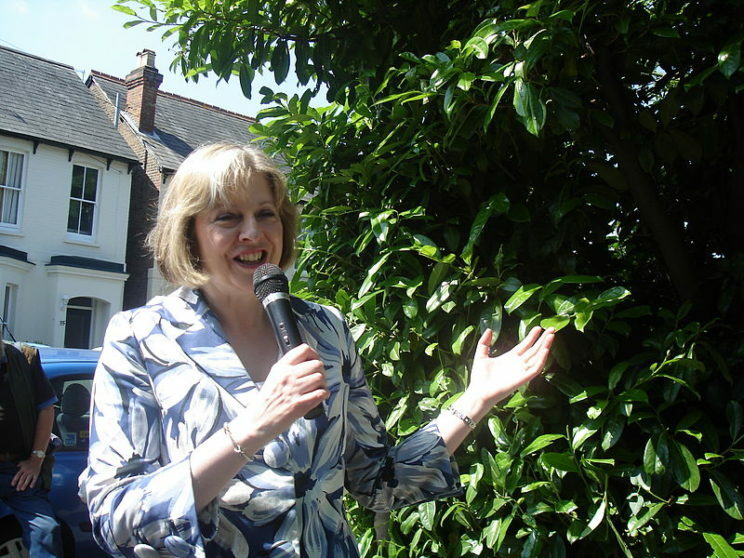 Theresa May in 2007. By Andrew Burdett. CC-BY-3.0 via Wikimedia Commons. And most of those who have such a background will have been, say, researchers rather than the working class, former elected officials who, back in the fifties, sixties and seventies, provided much of the ballast on the Labour benches. These days, Shadow Secretary of State for Education, Angela Rayner, having left school at sixteen and working in social care before being elected to serve her union UNISON full-time, stands out from the crowd. Still, Labour isn’t so unusual in this respect: countries like Finland and especially Switzerland, where a fair few MPs from the main centre-left parties still have union backgrounds, are probably outliers, and even there, we’re only talking between a fifth and a quarter of them. Labour is unusual among its international counterparts in there being an organisation, TULO (The Trade Union & Labour Party Liaison Organisation), whose job it is to help coordinate and manage the link between the party and the 14 unions (with over 3 million members between them) currently affiliated to it. Moreover, outside Australia, the system of collective affiliation, seen as the norm in the UK, has either never been replicated or else has long since been abandoned in other countries. In the US, the Democrats and the unions have never enjoyed anything like the sort of institutionalised relationship seen in the UK. And the same can be said of France and Italy, although there the absence of a stand-out, single party on the centre-left had a lot to do with it. In other places – Israel and the Netherlands, for instance – what was a fairly close relationship has all but completely collapsed or is a shadow of its former self. In Germany, where the SPD suddenly seems back in contention electorally now that Martin Schulz has become its candidate for Chancellor, things are nowhere near so bad, even if ties aren’t what they are in, say, Scandinavia or, even closer to home if you’re in Berlin, Austria and Switzerland. In the UK, the unions, despite Ed Miliband abolishing the electoral college which gave them a special say in electing Labour’s leader, are still organisationally-speaking, effectively part and parcel of the party. That means that, outside Australia, they retain more influence over it than their counterparts in other countries exercise over their traditional political ally. Clearly, the fact that UK unions, even if they gave up sponsoring individual MPs in the mid-1990s, still play a major part in bankrolling the party also makes a difference. However, we need to be careful not to assume that ties between centre-left parties and trade unions ultimately come down to cold hard cash. Organisational ties continue to persist in many countries where unions are not a significant source of finance for social democratic parties, although they do tend to be weaker in countries where state subsidies to parties are generous and in countries that heavily regulate party finance. This is not to say, of course, that continuing close ties between centre-left parties and trade unions are merely a matter of sentiment. True, looking around the world it is clear, as is the case in the UK, that historical legacies matter: those parties and union movements that had the strongest links with each other in the decades following the end of World War Two still tend to have the strongest links today, both formally and informally, and whether we look at the parliamentary or the extra-parliamentary party (which in many countries outside the UK is where power lies and where the links are strongest). But that does not mean that the relationships they enjoy right now are unaffected by a belief that each partner gets something useful out of them. This raises the question of precisely what benefits parties like Labour, as well as the unions to which they’re linked, derive from those links, beyond (for some of them anyway) financial support. Certainly, they’re not as obvious as they once were – for either side. Centre-left parties cannot fail to have noticed that trade unions’ ability to persuade their members to vote for them at elections, while it hasn’t disappeared altogether, seems to have declined, especially as cultural issues like immigration have become as (or even more) important as the economy as drivers of electoral behaviour. But even if that were not the case, unions’ ability to deliver their members as voters would be worth less to Labour since not only has the blue-collar working class declined precipitously over the decades (as it has everywhere) but far fewer people now belong to unions than they used to. Trade union density in the UK has declined from a post-war high of just over 50% in 1979 to around 25% now. This isn’t bad compared to some countries: in Germany the figure is just under 20%, in the US just over 10%, and in France well under that. But it’s nowhere near as high as in, say, Sweden, where because unions still seem to be able to recruit pretty well in the private as well as the public sector, two-thirds of employees belong to one. Indeed, countries where more people are trade union members, as well as where the trade union movement is more concentrated, do seem to see stronger party-union links. That said, density isn’t destiny: links persist in some places despite some sizable drops in the number of people joining unions. What then do trade unions get out of Labour and parties like it – and how much does that determine the closeness of the relationship between the two sides? ‘Not very much’ seems to be the answer on both counts. You don’t have to swallow the radical orthodoxy that the centre-left has somehow prostrated itself before the gods of neo-liberalism to recognise that, as well as finding it more difficult of late to get itself elected to power, it doesn’t like to intervene as much in the economy or spend as freely on welfare as it used to when it does get there. Nor is it the case, anyway, that the more left-wing, the larger, or the more likely a social democratic party is to be in government or to recommend its members join a union, the more likely it is to enjoy strong links with the unions. It is therefore difficult to avoid the conclusion that the relationship is a little lop-sided: in as much as that relationship is transactional and based on an exchange of resources, neither side gets as much out of it as it used to; but centre-left parties probably do a little better out of the deal, especially if finance and/or election volunteers are part of it, than do the unions. But there’s a but – and one that will be familiar to anyone familiar with the UK since 2010. Comparative analysis suggests that when centre-left parties are in power, unions with weaker links to them find it harder (though, as France and Italy show, not impossible) to stop those parties trying to push through liberal reforms. On the other hand, it also suggests that the strongest of organisational links are no guarantee that social democratic governments will deliver whatever unions want. But not getting everything they want from the centre-left is still likely to be better, as far as most trade unions are concerned, than ceding power and the initiative to the centre-right. Faute de mieux may not be a particularly inspiring reason to maintain relationships with centre-left parties, but it may explain why trade unions – particularly perhaps in two party-systems like the UK where there are no other serious options on the left – continue to invest time, effort and, as in Labour’s case, money, in maintaining them. Featured Image Credit: Protest march for a $15/hour minimum wage at the MSP airport by Fibonacci Blue. CC 2.0 via Flickr. With thanks to Europp for allowing us to cross-post – European Politics and Policy, nor of the London School of Economics, original publisher of this article. Tim Bale is Professor of Politics at Queen Mary University of London where he specialises in party politics in Britain and Europe. He is the author of books on the Conservative and Labour Parties and on European Politics, and writes about politics for several newspapers and comments on current affairs on both television and radio. He is currently directing a project on party membership in the UK.